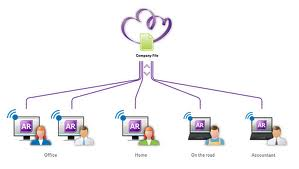 We supply sales, installation, training and support MYOB Accounting software. We also supply version upgrades, conversions and MYOB Support agreements. The MYOB AccountRight range offers different versions to suit your needs. Are you ready for the benefits of cloud computing? This provides on-line data, multi-user access, bank feeds, and other great features.